Amy's Creative Pursuits: Say Cheese! Hello! I saw THIS card by one of my favorite paper crafters and thought her layout would work great with a retired SU! set I never used before. I bought the 'All in the Family' set on Ebay years ago, but I never used it because I struggled with how to put all the tiny, little, itty bitty pieces together to make a card. When I saw how another paper crafter used a similar set, I decided to get my old, unused set out to play with. My first card copies her layout entirely, except I used different images and sentiments of course because I'm using a different stamp set. The balloon, birthday hat, and present are from the 'All in the Family Accessories' set. I stamped the birthday hat and balloon twice, cut them out, and popped them up on dimensionals. The sentiment balloon was made with a stencil. The film strip was made from a Spellbinder's die. 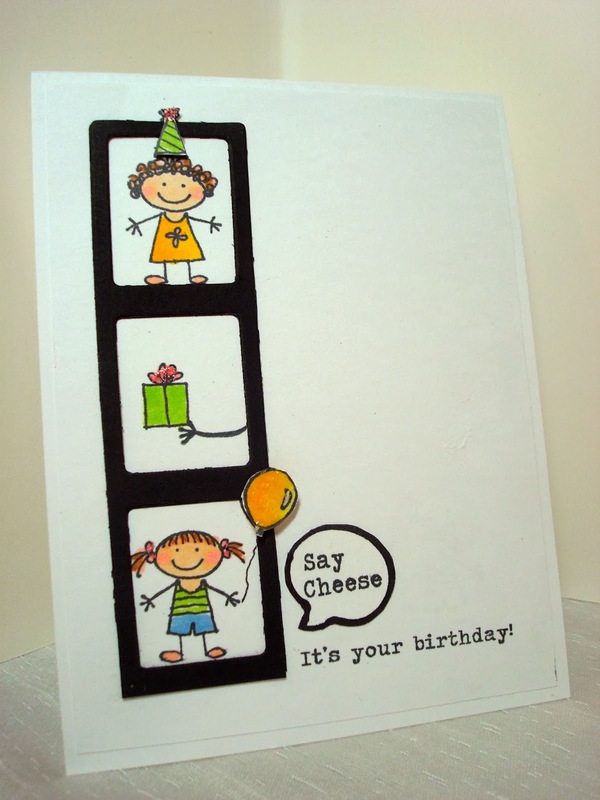 The sentiments are from Crafty Secrets "Mouse Party". I enjoyed playing with this set so much I made a second card using a sketch from the Clean and Simple blog. Once again I popped up the accessories on dimensionals, but this time I used a different sentiment from the same Crafty Secrets set and I also turned the film strip horizontally. 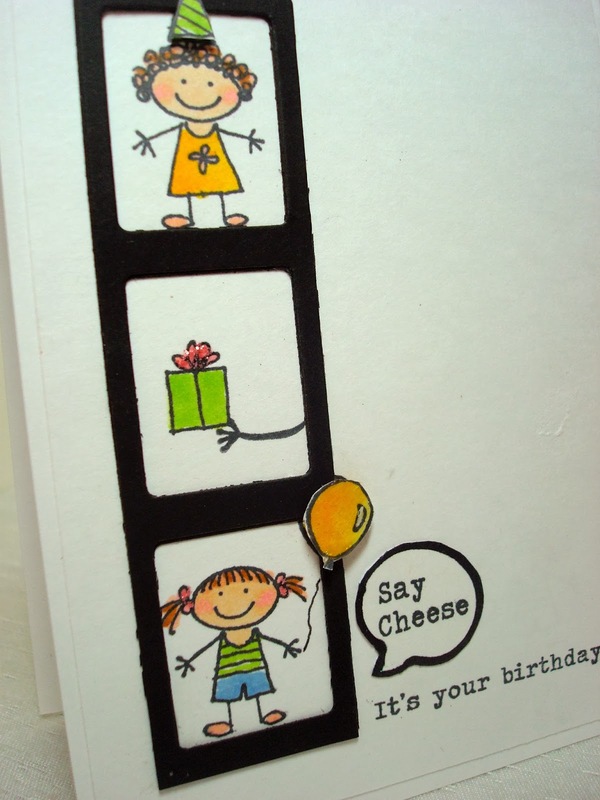 Such fun, creative birthday cards! And I'm so happy I finally got to use a very neglected stamp set! So cute and creative! I love paper and stamp crafts! Such cute cards Amy! What a fun stamp set!! And I love how you used the filmstrip die. Oh cuuute ! Superb ! Love these stamps, so fun !! !